Christi is Texas native, growing up in a small town 40 miles east of Austin. Having a strong passion for helping others, she embarked on becoming a part of the medical field as a Medical Assistant about ten years ago. 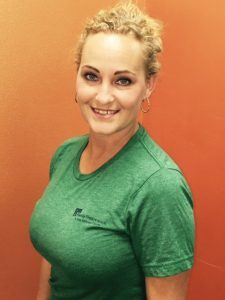 Christi joined the team at Family First Chiropractic in May of 2017, anxious to expand her knowledge of chiropractic care while serving our patients by helping them succeed in their journey to better health and wellness. Christi lives in Dripping Springs with her spouse and three beautiful daughters, 4 dogs Shad, Emma, Baby and Tango and one horse, Red.